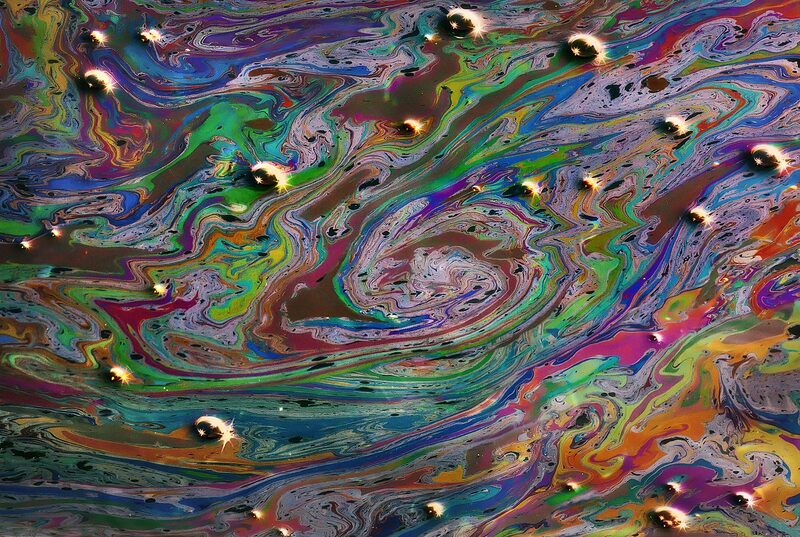 What you are looking at here is a small-scale abstract image of oil floating in the Pacific waters at natural oil seeps off the California coast. The colors are all a product of refracted light and are actually natural! Photo © copyright by Marc Adamus.